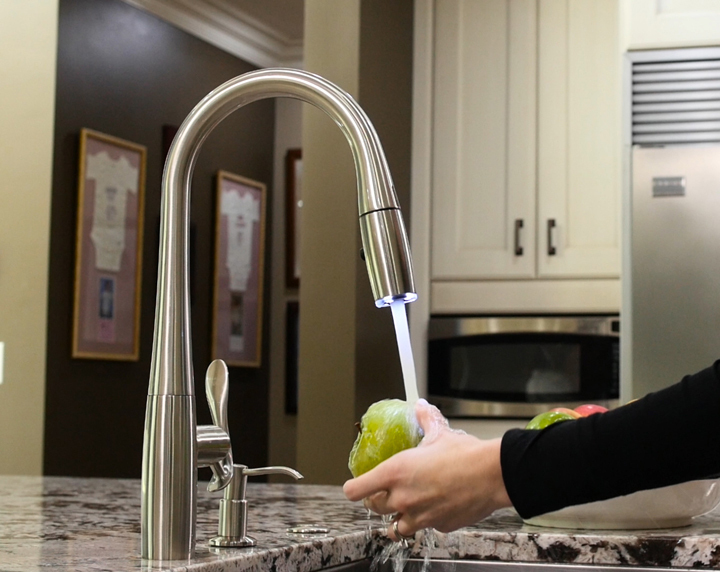 3 Reasons to Choose Hands Free Faucets – Senergy Mechanical Inc.
We’ve had high-tech shower heads for several years now, so isn’t it about time that sink faucets catch up? What you may not realize is that high-tech faucets known as smart faucets have been around since as early as 2009. As with most smart home products, people tend to think of smart faucets as gimmicky and gratuitous. What’s wrong with a traditional setup? Is there really enough room for improvement to justify an upgrade? We’ve all been there: first turn on the hot faucet and wait for the water to heat up, then turn on the cold faucet to bring the temperature back down to a comfortable level. How much water is wasted from that? And finding the right balance of hot and cold is a frustrating game. A little too much in one direction and you’re left with either frostbite or third-degree burns. It just isn’t fun, but with the right smart faucet, you may never have to play that game again. Some advanced models have digital displays that let you fine-tune temperature with pinpoint accuracy. Others are more simplistic, such as those with LED lights that change color depending on the temperature. Smart faucets may even be programmable ahead of time, allowing you to set and remember specific temperature preferences. In that sense, they’d almost be like a smart thermostats, but for your sink. Money is a big concern when it comes to appliances and home improvement, which is one reason why smart home products are so great: they save you energy and money whether we’re talking about thermostats, power plugs, or lighting solutions – and faucets now join that list. For example, smart faucets that are marked WaterSense use 20% less water than traditional faucets right out of the box. Couple that with finer controls for temperature and pressure and you’ll conserve more water while wasting less. This should excite you, even if you aren’t an environmental green freak. After all, improved water efficiency means you can get the same amount done with less water – and less water used means a smaller water bill every month. Now, obviously this doesn’t translate perfectly into a household scenario, but the findings are indicative of one thing: faucets are dirtier than we care to think – even dirtier than your keyboard – and that’s because we don’t clean them often enough. Smart faucets are easier to keep clean. Many of them are touch-operated, and some are even touch-free. In addition to less physical contact, smart faucets with modern designs are easier to wipe down than traditional knobs and handles. Ultimately, fewer points of contact means a reduced chance of spreading bacteria, and that should be a high priority for any modern homeowner. Are Smart Faucets Worth It? 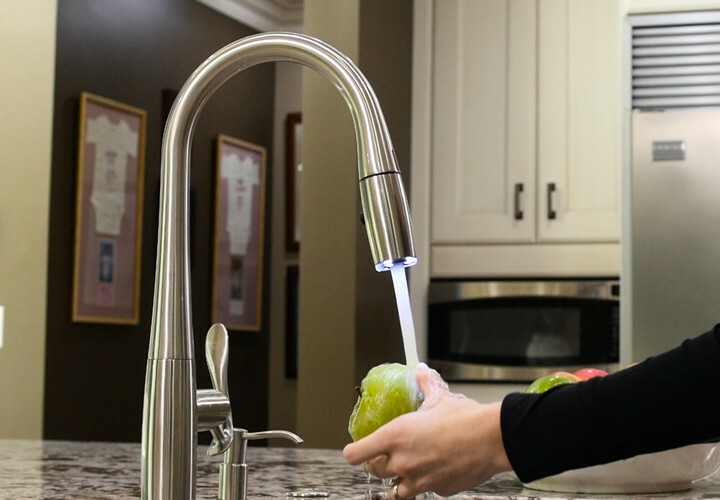 These faucets might seem overly expensive at first, but when you really look into how much a smart home actually costs, you’ll see that it’s a small price to pay for long-term gains. Compared to most home improvements, smart home products are dirt cheap. Which Is Better, Forced-Air or Radiant Heat?